If you don't have a double boiler and need to gently heat a substance, Taste of Home Magazine suggests making your own double boiler using a saucepan and a metal bowl. A double boiler is a cooking apparatus that consists of two pans, one of which fits inside the other. The bottom saucepan is filled with water, which is boiled and used to gently heat food in the upper pan. According to Taste of Home Magazine, the bowl that you use to make your double boiler should partially fit into the saucepan you are using without resting on the bottom of the pan. 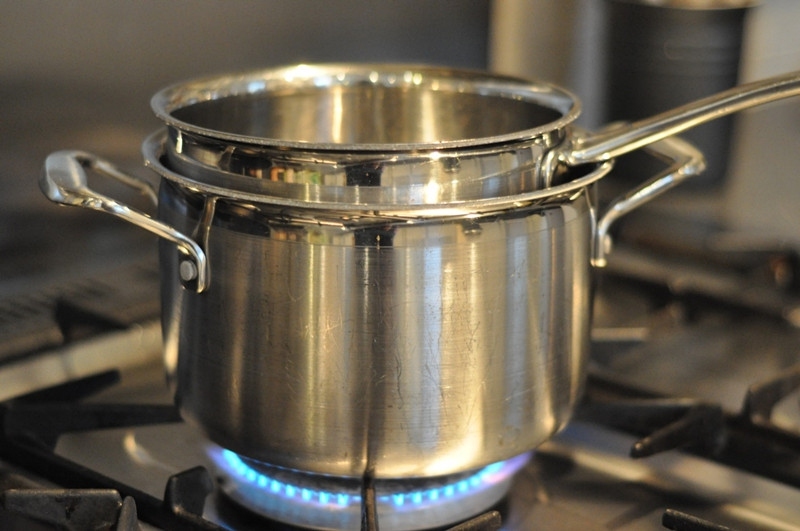 In order to use the apparatus, fill the saucepan with just a small amount of water. The water level must be low enough that it does not come into contact with the bottom of the bowl when it is inserted into the saucepan. Bring the water to a boil, and then add the ingredients to bowl before placing it inside the saucepan to heat. About.com describes several different foods that are best prepared in a double boiler or the alternative setup described above, such as hollandaise sauce, chocolate and custards. These are all delicate preparations and benefit from the use of a double boiler because it won't form hot spots that could curdle the ingredients. If you have some better ides, just add them below!